Our course management is overseen by Director Dave Webster, who is supported by his team of experienced Green Keepers. We are always on the lookout for qualified Green Keepers to join our team of expanding course management staff. Please call Tony Sharman on 01708 855011 if you would like to be given the opportunity of an interview. 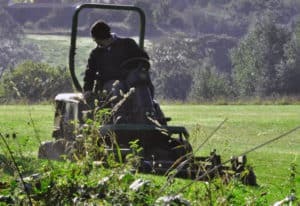 The management program for the golf course is divided between summer and winter schedules: summer being repetitions of cutting and specialist grooming projects to maintain the standards to which we have become accustomed, while our winter maintenance routine includes the building of new tees, bunkers and footpaths etc along with general maintenance around the course. Our tree planting and wild life conservation projects are ongoing throughout the course of the year. Due to the excellent drainage at Mardyke Valley Golf Club, we are very rarely forced to close except when under the most extreme conditions.